Here’s another study of useful design. This time I’m focusing on intuitive designs that align with a users preconceived ideas of how something might function. 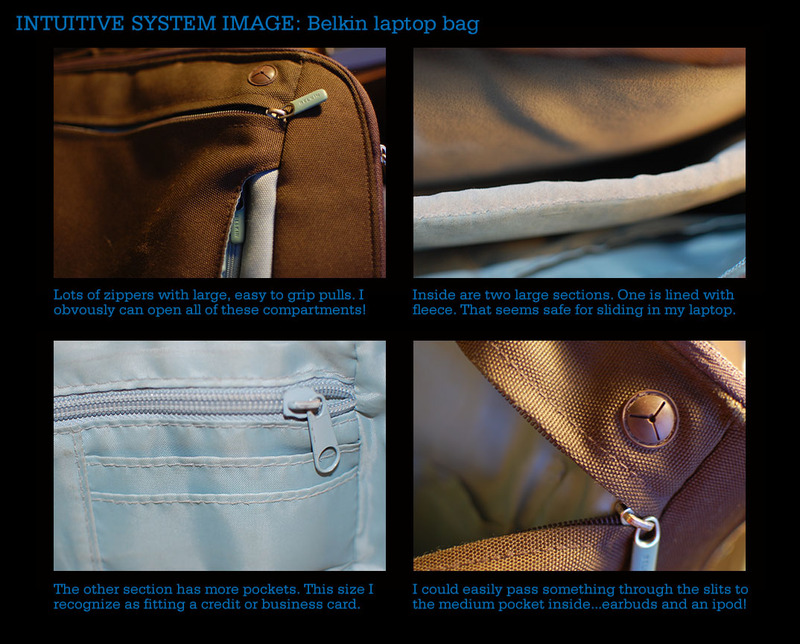 In this case, my laptop bag from Belkin is a great example. Can you think of great designs that you are able to easily use in your activities?